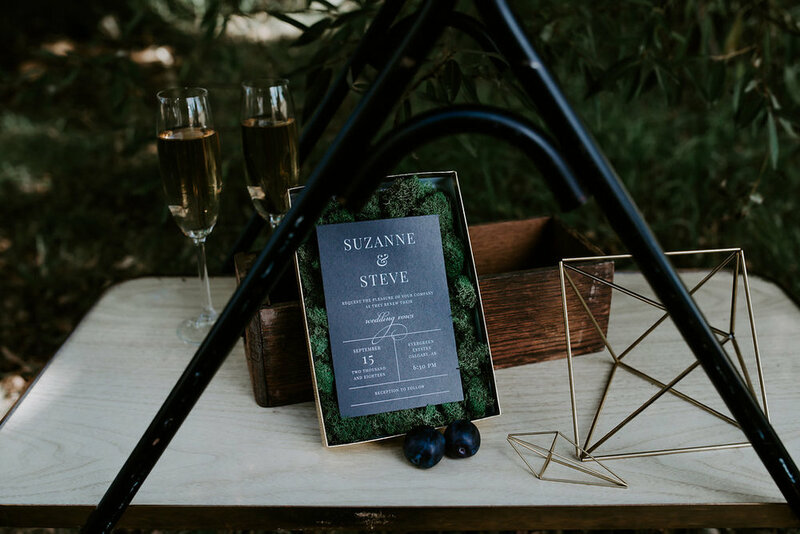 This week on the blog we’re featuring the award-winning Lovesky Design, a boutique graphic design studio based in Calgary, Alberta, specializing in custom wedding invitations. Lovesky stationary is far from ordinary – it’s a true art form. This company handcrafts incredibly intricate pieces, designed to inspire, tell stories, and make an impression on your guests. Kelly Devera, Founder and Graphic Designer is committed to providing her clients with the highest standard of quality and service, attention to detail and aesthetic. We sat down with her to get the skinny on the stationary business! LD: Shortly after I completed Graphic Design at SAIT, I started my company, specializing in custom wedding invitations and stationery. Lovesky Design was born out of love for creativity, design and romance. When I'm not designing or meeting clients, I'm a busy mom to an energetic two-year- old girl. JR: Your work is stunning. How did you end up in the world of creative stationary? LD: I was a huge stationery collector when I was younger and loved creating my own. When I was a little girl, I used to wish Hallmark would hire me so I could create cards for the public. Little did I know, fate intervened, and years later I am running my own company and creating my own stationary! The best part of this business is that it allows me to be creative and do what I love. JR: Are there any new trends to watch out for in the stationary biz? LD: Lasercut invitations are trending hard. This is great news for couples, because Lovesky Design offers a variety of beautiful lasercut invitations! They can book a complimentary consultation to see our samples in person. Textures like marble, agates and watercolours continue to be a popular choice. LD: It's a true honour when I get to be a part of a couple’s wedding day. I love the collaboration and seeing their excitement when they get the final product. Another great perk is meeting and getting to know other business owners and like-minded individuals –some who have became my friends and mentors! I enjoy hearing about their stories and journey through the industry. JR: Where do you get your ideas for themes, designs, etc.? LD: My ultimate inspiration is my clients. I love getting to know them and hearing about their love story. I pull inspiration from their wedding ideas and their style. When I create invitation templates for the Lovesky Collection, I get my ideas from nature, fashion and people. I’ve even named some invitation suites after people I know who I find inspiring. JR: Tell us something interesting or funny about yourself. LD: If you take me to an ice cream store that has 150 different flavours, I will still pick vanilla!